As intimidating as online marketing can be for small business and start-ups, it is also where small businesses can compete against much larger companies. This is true even within the same industries. While spending budgets do influence some areas of online marketing, such as paid advertising (Pay Per Click), on the Internet every company has a chance. Smaller companies and start-ups can often have the advantage online. Online marketing is the one area where smaller companies can compete against much larger businesses. In organic search results for example, search giants such as Google rank websites and businesses based on relevance and quality of content, not size or budgets. Smaller companies that produce unique, quality, and relevant content frequently can outperform much larger businesses. To help with online marketing, here are 5 online marketing tips to help small business grow. 1. 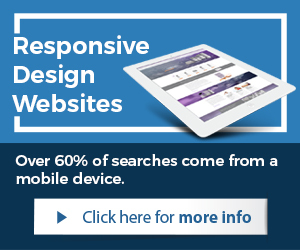 Invest into a Responsive Design website. If an existing website is not developed with Responsive Design (HTML5) technology, a business should invest into a Responsive Design website. Mobile-friendly websites are really not an option anymore, but rather a requirement by search giants such as Google. 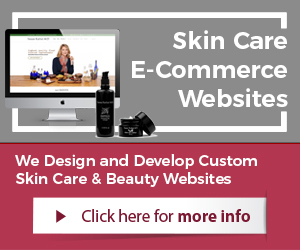 A business should have a customized website for their business, developed with Responsive Design and using applications such as WordPress or Magento (open-source software to power websites). 2. Use user-friendly website applications. A business should have a website that it can manage, update, add to, and use. Complex websites and poor web applications can make it very difficult for a business to grow online. Open-source software applications such as WordPress and Magento are great for powering a business website and growing it, with the proper tools. A user-friendly management system with the right features is key to online success. 3. Spend money wisely to grow online. Regardless of size of budget, even the smallest budgets have to be allocated wisely for a business to grow online. A small business should first determine what the budget is (monthly or annually). Then, find quality vendors to achieve the desired goals online. Given a budget, services such as content marketing, social media marketing, search engine optimization, and paid advertising can be utilized. 4. Create frequent quality and relevant content. Companies that want to grow online, regardless of size have to create frequently content. This content has to be unique, quality driven, and relevant to the business, products, services, and industry/market. The more quality and relevant content is produced and properly published, the better chances a business has to grow in site traffic, search engine rankings, and market share. Content is considered text such as blog articles, images, and videos. 5. Optimize constantly for improved online performance. A business, especially smaller organizations should constantly optimize for an improved online performance. A website can be improved most of the time, smaller companies should analyze areas that can be improved, and allocate resources to get the improvements done. The service for this is called Conversion Optimization and it can significantly increase the chances of success for any size of company. 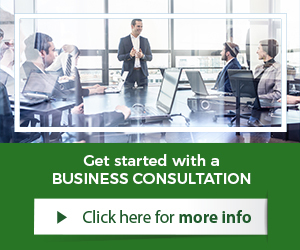 A small company or business can always hire a business consultant and pay for a couple hours of consultation. Getting informed and the necessary details can help a business avoid costly mistakes and pitfalls. Consultants can be obtained through professional consulting services with reputable firms. They have hourly rates and often specialize in certain areas.